With its playful name of HideMyAss! and a cheerful donkey visual theme, HMA! Pro is a VPN that doesn’t take itself too seriously, even though it’s up to some serious work. This is a respectable VPN despite its good sense of humor. Like any VPN service, HideMyAss connects your PC, laptop, phone or tablet to the Internet through an encrypted link to a VPN server. This can be based in another city or even another continent entirely and using it both protects your data and conceals the IP address that can be used to identify you and your computer. What’s more, by using a server in another location you can fool websites and services into thinking that you’re connecting from that location. That’s a real plus if you’re trying to get around censorship or looking to unblock content that’s locked to a specific region or country. This is a long-established VPN service that’s evolved well over the years, and it boasts a strong set of features. It has slick and stylish mobile apps and PC clients – everything is clearly marked and simple to use. In fact, this is a great VPN to choose if you’re a relative novice to using any VPN service. There’s no off-putting technical jargon and HMA! Pro goes out of its way to make things user-friendly. 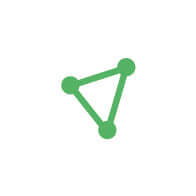 It’s easy to use while delivering access to over 760 servers in 190 countries, so wherever you are in the world you should be able to find a fast, nearby server to use. Here, we compare HideMyAss against some of the top VPN services available, including our most commonly recommended brands, PureVPN, NordVPN and IPVanish. HMA! Pro might look like it has tongue in cheek, but it takes privacy and anonymity seriously. The service has tools to keep your own privacy tightly protected. These include a Killswitch that you can set on an app-by-app basis, or an IP Shuffle feature that keeps shuffling your IP address to make your activities even harder to trace back to you. It’s effective when it comes to unblocking streaming video services like the BBC iPlayer or Netflix in the US. It even has clever virtual servers for the US and the UK that make it look like you’re connecting from the country concerned, even if both you and the servers are based on the other side of the pond, giving you a faster connection. HMA! Pro also has excellent global coverage, handling areas like Africa and the Middle East where other VPNS often have a sketchy presence – if they have one at all. Finally, the package includes both email and live chat support, along with a range pf excellent guides and FAQs. Just another reason we think this is a good VPN to choose if you’re a beginner. A couple of issues stop being HMA! Pro from being one of the best VPNs we’ve tested. HMA! Pro isn’t particularly speedy, so you’re likely to be disappointed now and then by the impact it makes on your regular browsing speeds. The company does maintain some logs, including information which it can share with authorities in its home country, the UK, and might share with partners in the US. The company is very clear about what information it gathers and what it does with it, but if you’re particularly worried about government authorities snooping on you, then HMA! 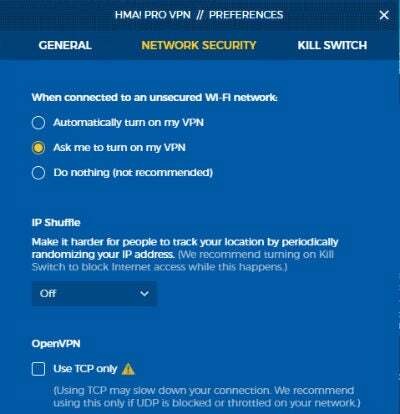 Pro might not be the ideal VPN to pick. This costs $11.99 per month if you pay monthly, which isn’t exactly a bargain. Even the $83.88 12-month plan is a good $15 to $20 more than what some VPNs are charging. If having an easy-to-use VPN is the most important thing, it may yet be worth spending that little bit more for HMA! Pro, rather than saving but being stuck with a more technical service. You won’t need the carrot or the stick to get this donkey moving; just an email address and a method of payment, though there’s a 7-day free trial available if you just want to try the service out. It’s a shame that you’re left to find and download the Windows app on your own after signing-up, but it’s not hard to reach the download link and go from there. Once the app’s installed, it’s all very easy-going. HMA! Pro has three modes, accessible through tabs. Instant Mode is a simple one-click connection that takes you straight to the nearest, fastest server. Location Mode is the one to go for if you need a specific location, and it even has recommended lists to tell you which servers to use for quick access, streaming video or sharing files through a peer-to-peer network, if that’s your bag. Finally, Freedom Mode takes you straight to a location in the nearest free-speech country; useful if you’re travelling in countries where certain services, like YouTube or Facebook, are routinely blocked. Every time you connect or disconnect, the app throws up clear notifications to make doubly sure you know. HMA! Pro is a good VPN with some simple features and great support, but it’s expensive and the speeds aren’t great. Other services offer equivalent speeds and features for a lower price, or give you more for around the same monthly or annual fee.